Human Physiology is an integrated solution to the challenges students encounter when enrolled in a Human Physiology course. Incorporating digital and print content, this program supports students’ understanding of core physiological concepts while building the critical thinking skills that will prepare them for success in their future careers. 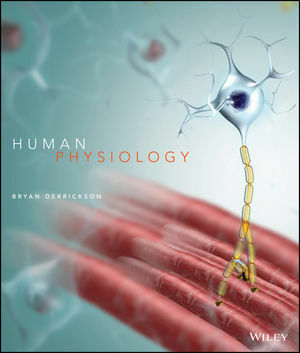 The 1st edition of Human Physiology is an integrated solution to the challenges students encounter when enrolled in a Human Physiology course. Incorporating digital and print content, this program supports students’ understanding of core physiological concepts while building the critical thinking skills that will prepare them for success in their future careers. Critical thinking exercises help students apply their knowledge of physiology by asking them to address real-life situations and guiding them through the logical progression of thought processes needed to answer them. Making connections through Primary Literature helps students make connections to real-world applications. Full primary research articles are available to students through WileyPLUS Learning Space. 3-D Physiology is a state-of-the-art animation series on the most difficult physiological concepts for you to teach and your students to learn. PowerPhys 3.0 is physiological simulation software authored by teaching lab faculty. The activities focus on core physiological concepts and reinforce techniques experienced in the lab. Access to WileyPLUS Learning Space sold separately. Bryan Derrickson is Professor of Biology at Valencia Community College in Orlando, Florida, where he teaches human anatomy and physiology as well as general biology and human sexuality. He received his bachelor's degree in biology from Morehouse College and his Ph.D. in Cell Biology from Duke University. Bryan's study at Duke was in the Physiology Division within the Department of Cell Biology, so while his degree is in Cell Biology his training focused on physiology. At Valencia, he frequently serves on faculty hiring committees. He has served as a member of the Faculty Senate, which is the governing body of the college, and as a member of the Faculty Academy Committee (now called the Teaching and Learning Academy), which sets the standards for the acquisition of tenure by faculty members. Nationally, he is a member of the Human Anatomy and Physiology Society (HAPS) and the National Association of Biology Teachers (NABT). Critical Thinking Exercises help students apply their knowledge of physiology by asking them to address realistic situations. These exercises then guide them through the logical progression of thought processes needed to come to a solution. •Research to Reality encourages students to make connections to real-world applications. Full primary research articles are available to students through WileyPLUS Learning Space. •3-D Physiology is a state-of-the-art animation series on the most difficult physiological concepts for you to teach and your students to learn. •PowerPhys 3.0 is physiological simulation software authored by teaching lab faculty. The activities focus on core physiological concepts and reinforce techniques experienced in the lab. Research to Reality encourages students to make connections to real-world applications. Full primary research articles are available to students through WileyPLUS Learning Space. 3-D Physiology is a state-of-the-art animation series on the most difficult physiological concepts for you to teach and your students to learn. PowerPhys 3.0 is physiological simulation software authored by teaching lab faculty. The activities focus on core physiological concepts and reinforce techniques experienced in the lab. WileyPLUS Learning Space also includes ORION–integrated, adaptive practice that helps students build their proficiency on topics and use their study time most effectively.